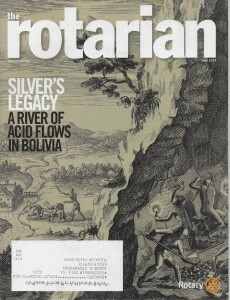 “The Rotarian” an international magazine for Rotary International, ran a cover story: “The Troubled waters of Potosi” in its May, 2014 issue. 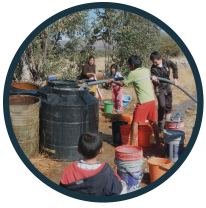 This wonderful article describes the situation of the Juckucha River in Potosi, Bolivia and the work being done to clean up the river. There are three key partners in this project: Rotary, The Universities of Oklahoma and St. Francis; and Engineers in Action. The article, appropriately, focuses on Rotary and the universities, only passingly mentioning EIA. That’s OK. It is still a great story on one of our projects. 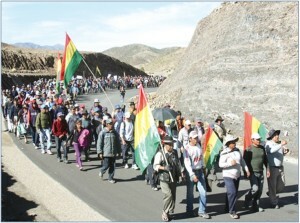 However, we’d like to share our part of the story: including causing a Protest March of 20,000 people on the State Capitol of Potosi and other interesting twists and turns in this story, click on the photo. 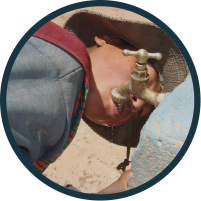 Learn about EIA’s part in this project.